Hi guys! Just seen this latest Bakugan deal online. Download the newest Bakugan application from iTunes Apple to your iPhones or iPods for just $0.99. Apple iTunes is known for giving the latest technological applications and downloads of fun and entertainment. On April 22 of this year, it released the new Bakugan App. This application is on version 1.2.1, and is 6.1 MB in size. It simply requires 4.0 opertaing system (OS) of either iPhone or iPod touch. 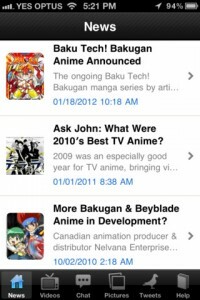 With this Bakugan application, you can get info on current Bakugan news, audios, photo galleries, and videos. Get the chance also to follow activity stream of users, and enable geo-location features. The best thing about it, you can share these great stuff to friends and fellow brawlers through Twitter, Facebook, or email. Download it now and get your daily dose of Bakugan! I’m sure you have heard of the recent tsunami and quake that rocked Japan. It has devastated many lives, families, and homes. As you can imagine, it’s really hard on the kids. Talk about having your whole world turned upside down! In response to the devastating experience, TMS Entertainment of Japan recently streamed four family and children’s movies free, including Bakugan Brawlers. 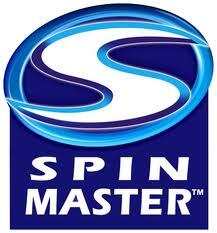 Taking the aid for quake relief in Japan a step further, Spin Master is donating $100,000 to help bring aid and comfort to the victims of the Japan earthquake. The money is being donated through Red Cross and Israel’s Forum for International Humanitarian Aid, IsraAID. Spin Master works with Japan Vistec on the Bakugan brand. How can you help with the ongoing rescue and restoration efforts in Japan?